Bitminer.eu seems to be offline – dont invest here! Bitminer offers a simple solution to earn passive income with minimal investment in bitcoin and altcoins cloud mining service. Over 37000 users signed up already for more than 1.3 mln GH/s hashpower at Bitminer over the past year and managed to pay out 248 bitcoins in total. Bitminers is a London based cloud mining provider that is operating since 2015. On their website they provide the UK company registration number so it is easier to research the background of the firm. Because the bitminer.eu website unfortunately does not have an ‘About us’ section where prospective or current users may find out more information about the company. The website belongs to Bitminer Cloud EU Ltd that is registered at the England and Wales Company Court. The company was founded by 1 GBP share capital electronically by Giacomo Bugini, who is also the sole director at Bitminer. When looking for Giacomo Bugini on the internet, from the multiple results, no one is listing Bitminer as occupation. However the Italian gentlemen is associated with many questionable sites, such as ADVgeneration (ponzi), eurobitmarket.com (exchange, shortlived, “back online soon”), bitcoinbay.co (offline), and a few more. On one of the bitcoin forums, somebody even linked an Italian scam accusation against him. This is definitely a not appealing professional list of prior experiences that Bitminer could be proud of. This together with the fact that their Facebook page has only 600 followers, raises the question whether the remaining 36400 user not be using Facebook or possible they dont even exist. At least this should be a huge warning sign to new users that Bitminer might be a scam. Bitminer’s headquarter office is located in London, Wenlock Road in a big business complex. According to the website they have data centers in China and the Italian cloud mining farm is going to be ready soon with 16nm ASIC miner equipment. 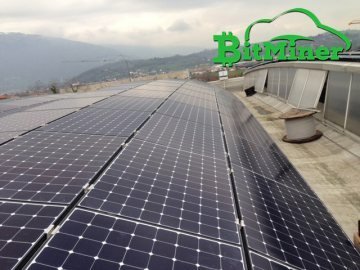 The mining hardware is powered by solar energy to reduce costs and save the environment. The payouts are happening daily, processed at midnight EST. Bitminer applied PPS (Pay Per Share) based payout method, so each client receives coins according to their shares in mining. No real authentication is needed as the withdrawals, as they are making payouts once an email confirmation verified the withdrawal. The registration process is quick and easy, only need to provide email address and a password. After sign up the account can be funded directly with bitcoins and altcoins with the services of Coinpayments. Bitminer also accepts alternative payment service providers, such as Perfect Money, Payeer, Skrill and OKPay. Credit Cards and bank wire transfers however are not on the list of acceptable payment methods. In addition to cryptocurrency cloud mining, Bitminer runs an internal trading market where the mined digital currencies can be exchanged for a fee of 0.2% per transaction. As a special feature, Bitminers offers it’s own vault for its users. This vault pays 0.25% interest weekly based on the active bitcoin balance of the account to the users is added to the account automatically. This interest results in 1% interest monthly. That is definitely extraordinary high yield on the financial market, even if this is an alternative investment, so users should be cautious when using this service. At Bitminer, users may also sign up for a referral program where inviting friends result in 3% earning after each deposit placed. Again, a huge warning sign for a possible ponzi scheme in the background. In order to show the possible profitability of the cloud mining services, Bitminer has detailed, advanced statistics to visualize data. At least this is how they sell the Stats page, as in fact it is just listing numbers about daily payouts. 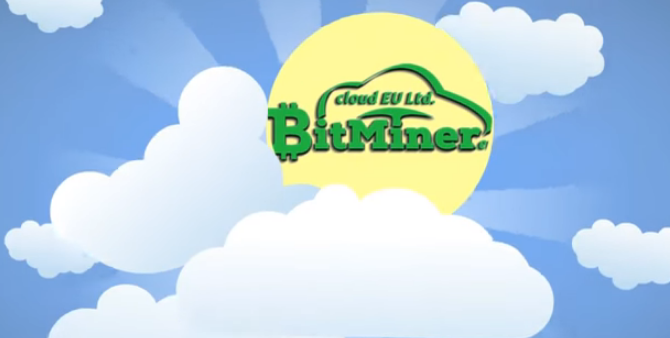 The cloud mining activity at Bitminer.eu can be followed with the Google Play application. Bitminer offers mining contracts from 1 GH/s. Clients can sign up for four different contracts, where the prices are expressed as bitcoins per hashpower. Bitcoin cloud mining costs 0.0002 BTC for 1 GH/s hashpower. Maintenance fee is unknown. Ethereum cloud mining costs 0.014 BTC for 1 MH/s hashpower. Maintenance fee is $0.012 after each MH/s. Scrypt cloud mining costs 0.009 BTC for 1 MH/s hashpower. Maintenance fee is $0.013 after each MH/s. 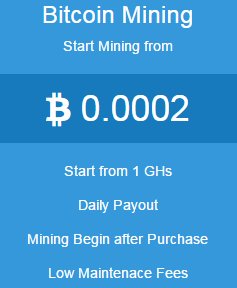 X11 cloud mining costs 0.0023 BTC for 1 MH/s hashpower.Maintenance fee is $0.009 after each MH/s. At Bitminer, user can sign up for ‘Contract Earning’ package that means if the client pays 1 BTC per contract, Bitminer guarantees a 110% return after 180 days with daily payouts. Bitminer does not disclose the bitcoin cloud mining maintenance fee for prospective clients. The rate is revealed only to registered users. The maintenance fee for the remaining altcoin ranges from $0.0009 to $0.012 and deducted daily before the payout results are appearing on the account. The bitcoin vault can be used from 0.01 BTC balance and has no fees. It pays a weekly interest rate of 0.25%. According to user feedback on the website, the Bitminer.eu site is intuitive and simple, but at the same time, very advanced as technology. Well, from this statement the simple definitely stands. The page has very limited information on the cloud mining activity, the farms and equipment. The FAQ section is very weak, only has eight questions in total. The site offers the client to use the Support Ticket system for further questions. Bitminer could be a great cloud mining platform with it’s low level pricing structure and the special feature of the vault paying interest on the active bitcoin balance. However there are several warning signs that suggest the page is a possible scam. The company background, the lack of information about the services and the referral program all pointing into this directions, so clients must pay extra attention before investing money into the cloud mining at Bitminer. total scam, and nobody there seems to know how to read, or understand 2017 technology. They cant back up their lies and again, they do not know how to read English. There are 2 bitminer companies out there. 2 companies own by different people. One is scam, the other one is unlucky because people think they are the same company. After having this site running for a week or more and accumulated enough for their minimum payout, I tried to do a withdrawal. I always do this to see if they are legit – will they payout even the minimum? I got a message stating that I am not qualified unless I “pay them the fees” first because I was using multiple IP addresses! The only way I used multiple IP’s would be through an VPN while downloading or whatever. Never was two IPs running at same time. Just an excure to SCAM you!! 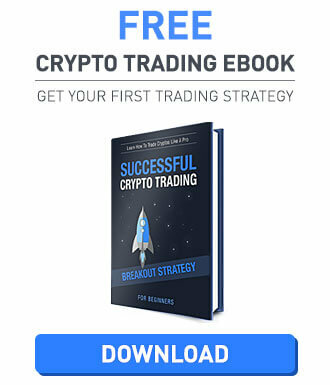 This is a complete scam site!!! warning warning! been over 8 months and no response, flagged me as spam as i inquired wtf was going on with no payment. simple small payment and its all a scam.